Please, post news, pictures, information and questions about Infanta Elena's work with the Spanish Paralympic Committee in this thread. Infanta Elena has always been interested in sports for the disabled and is the Honorary President of the Spanish Paralympics Committee. She attended the Paralympic games in Barcelona, Atlanta and Sydney to support the Spanish participants. Queen Elizabeth: "I cannot lead you into battle, I do not give you laws or administer justice but I can do something else, I can give you my heart and my devotion to these old islands and to all the peoples of our brotherhood of nations." God, Save The Queen! Infanta Dona Elena will preside next Monday at the General Assembly of the Paralympic Spanish Committee (CPE), of which she is the chairwoman of honor, who will take place in it sedate of the Top Council of Sports at 18.15 hours. The infanta Elena de Borbón will preside tomorrow on Monday at the General Assembly of the Paralympic Spanish Committee, which will take place in it sedate of the Top Council of Sports, in Madrid. In the meeting of the maximum organ of government of the Paralympic Spanish Committee there is foreseen that appears and there is approved the Plan ADOP of next year, the budgets for the same fiscal year and the new Medical Commission. nice pants ,i am not fond of the coat , it is nice but it doesn't match with the pants! HRH The Infanta Elena will preside over the General Assembly of the Spanish Paralympic Committee (CPE) tomorrow. 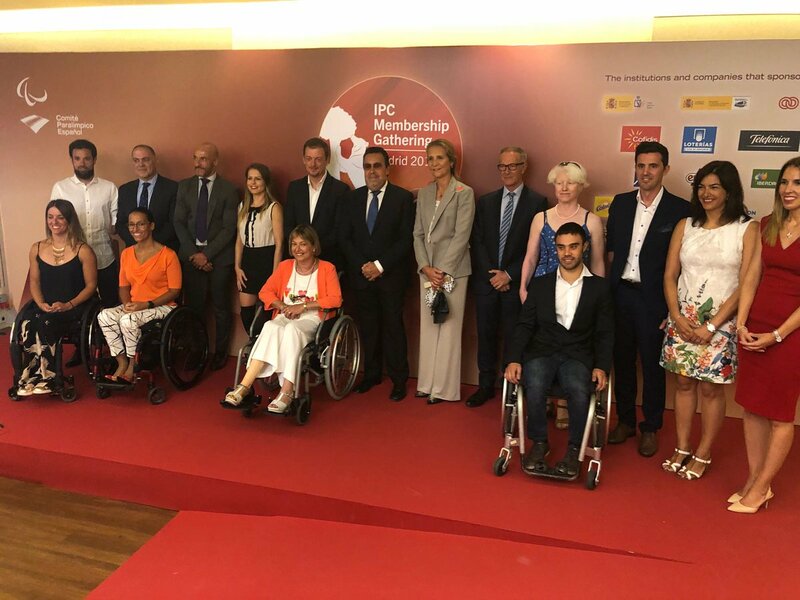 HRH The Infanta Elena presided over the opening of the Conference 'Challenges of Paralympic Sports: Present and Future', organized by Carmen Pardo-Valcarce Foundation, in Madrid, Spain, 18th of July. 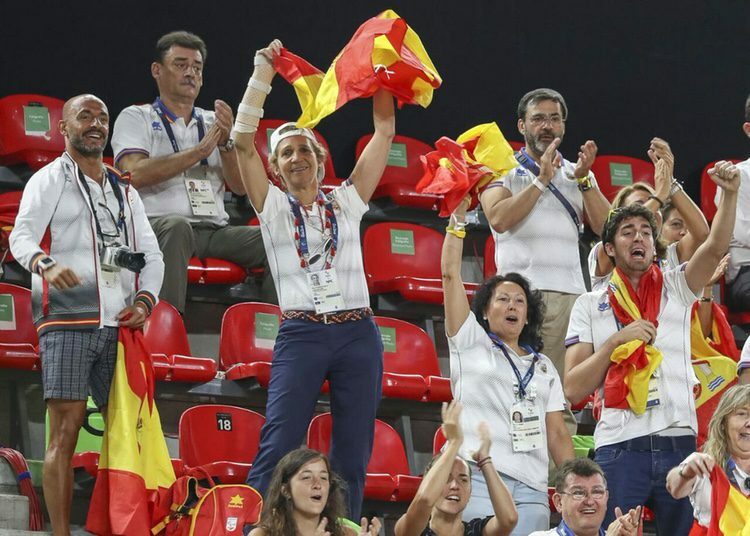 The Infanta Elena honorary president of the Spanish Paralympic Committee is currently in Rio supporting the Spanish Paralympic Team. I'm sorry, if the Infanta Elena could make it to Rio to support the Spanish athletes right after breaking her wrist, why couldn't Q Letizia make it out there for the main games? 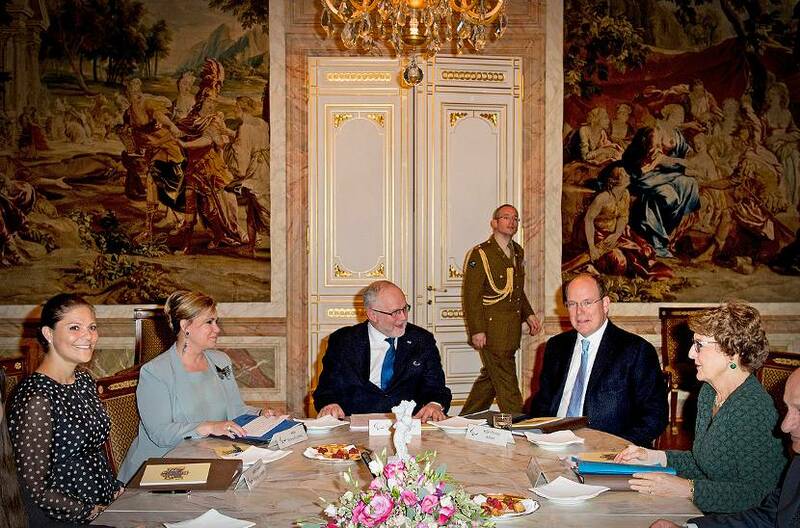 I understand why King Felipe couldn't go, but his consort is there for exactly these sorts of situations. This is just another reason that I believe Doña Elena would have made a better monarch than her brother. For 36 years Princess Margriet of the Netherlands is the Lady Patroness of the Netherlands Paralympic Committee. That is also the reason why she did represent the Royal House and not Queen Máxima. the other poster is talking about letizia being present for the olympic, not the paralympic, games. elena was the appropriate person to support the paralympic athletes. i agree it would certainly have been a good thing to do to support the olympic athletes, even if just for a couple of days. on the other hand, brazil is a long way away and spain is not at its most buoyant time economically speaking, so perhaps wise that letizia kept a low profile and stayed at home. i can just see the headlines of how letizia sneaks for a good time in brazil when the country is politically and economically unstable... elena and the paralympics have a lower profile so i guess it wouldn't spark the same comments that letizia's presence would have. Whilst is puzzling as to the absence of any Spanish Royal presence at the Rio Olympics the Infanta Elena as the Honorary President of the Spanish Paralympic Committee was in Rio for the Paralympic Games . The Infanta also presided over the official farewell ceremony of the athletes prior to their departure to Rio at the end of August. Considering the Political Turmoil Brazil is still in, but especially during the Olympics when they were about to impeach a sitting President & Head of State, it would have been surprising to see either of Their Majesties attending. Especially as Felipe IIRC is Spain's Head of State as well. It's the reason why these Games had the lowest attendance of major World Leaders/Royals at a Summer Olympics in years. No President/PM/Monarch in their right mind would willingly want to enter that hornet's nest and run the risk of saying something that could cause a major Political Mess. As much as I hate saying it, the Paralympics are still seen as the poorer cousin to the Olympics & therefore "not as important" in the eyes of many. Elena w/all the work she's done for the Paralympic Movement, & the positions she holds w/in it, has to be there. The fact she's "only a "Princess" and not the Monarch/Head of State makes it far easier for her to do so when it comes to the on going issues regarding the Brazilian Govt. I don't understand criticizing TM for not going when it was the absolute right thing to do considering what was happening in Brazil at that time. I watched the Live Stream at YouTube of the Swimming competition and was puzzled by something. When Elena presented the Medals, she was introduced in English first as The Princess of Spain and then the rest in Portuguese. Now, I haven't a clue how exactly she was introduced when the switch was made, as I don't speak Portuguese. However, I thought it very, very odd she was not first introduced as Her Royal Highness & then as The Princess of Spain. Anyone have any idea why it was done like that? Recycle Life ~ Be An Organ Donor!! 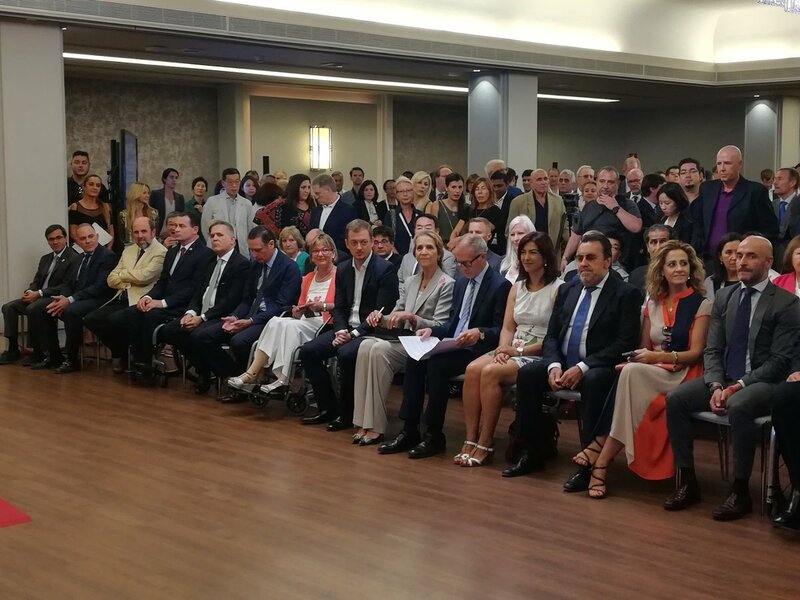 HRH The Infanta Elena and the Spanish Minister of Employment and Social Security , Fatima Báñez praise the Paralympic team upon their return home. HRH The Infanta Elena chaired a general meeting of the Spanish Paralympic Committee in Madrid today.